This was posted in the main forum. A TV interview with the lifeguard, Dan Lund that swam out to Steve Schafer and brought him to shore. Lund, a nine year lifegard with Martin County, had a serious shark bite himself 20 years ago. The newscast says Lund saw a kiter about 500 yards offshore lying on his kite. Lund paddled out to investigate. He say that Steve was lying on his kite, who yelled to Lund that he had been bitten by a shark. Lund saw Steve was injured and bleeding with sharks circling beneath the surface. He went into the water and over to the kite, carried Steve over to his rescue board, put him on it and paddled him back to shore in 4 to 6 ft. seas. Dr. Burgess of director of the International Shark Attack File at the Florida Museum of Natural History was asked to examine the wounds of the shark attack. He is an expert in this field maintaining the global database of shark attacks. I spoke to him yesterday prior to his attending the post mortem by phone. He speculated it was less likely spinner sharks were responsible for the initial attack but more probably a larger shark such as a bull shark. Spinners may hit humans by accident but usually move on after limited interaction. Spinners are preyed up on these same larger sharks during the seasonal migration. Once his femoral artery in his thigh was severed he had very little time to receive care. 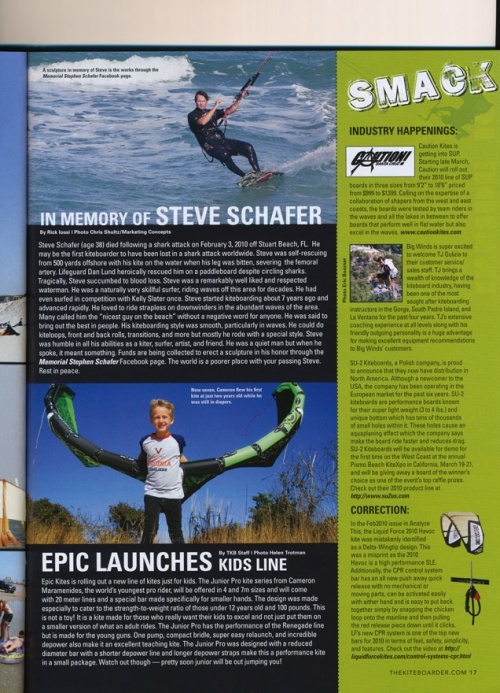 Steve Schafer died as a result of a shark attack while kitesurfing on February 3, 2010 just south of Stuart Beach. 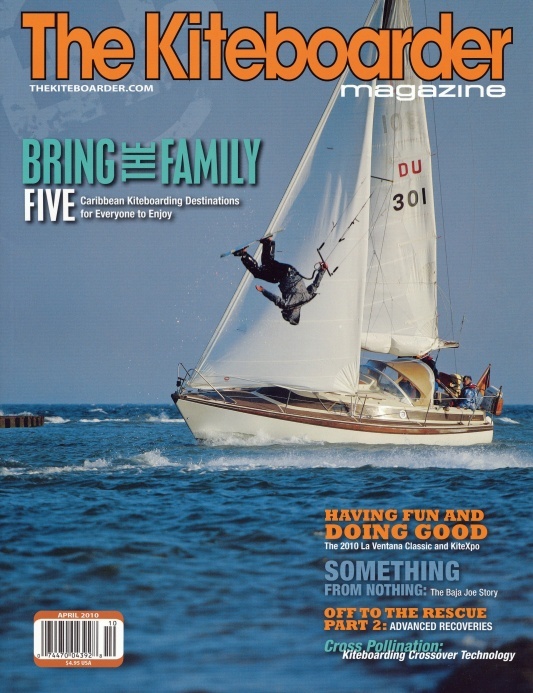 He may have been the first kiter to be lost in this fashion worldwide. This photo was taken a mile south of where Steve was riding when the attack occurred. I didn't go up with the intent of remembering Steve but that is inevitable every time I ride off the House of Refuge. He lives on in the waters of this place for myself, perhaps others as well. By coincidence this session was five years plus two days from the date of his passing. The blacktip sharks are running north again along with even larger predatory sharks although I didn't see any sharks, feeding birds, jumping bait or the like on this day. I pay particular attention for such signs when I kite even more so after Steve's passing. We're thinking of you Steve.